Well “the event” is ramping up. After a few prelude issues the hyped and ballyhooed Metal is kicking into gear. 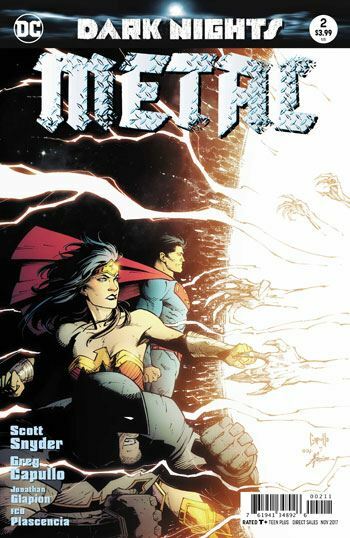 This issue opens with Superman and other key members of the Justice League on the trail of Batman in the hopes of forestalling his investigation into the mysterious metal. Ultimately they fail and the dark multi verse is given a foothold onto the main DC rebirth universe. 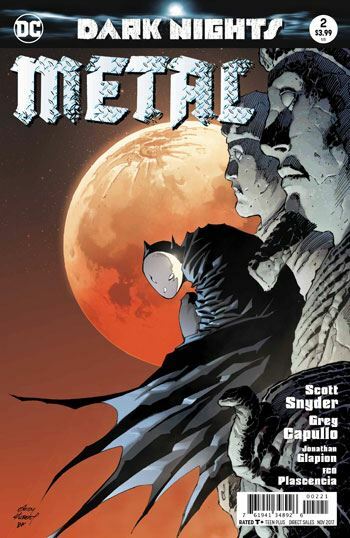 There is a very complicated mythos being created in this series, which overall I find very interesting and compelling, yet feel a tiny disappointed Snyder couldn’t resist tying the Court of Owls into the plot. 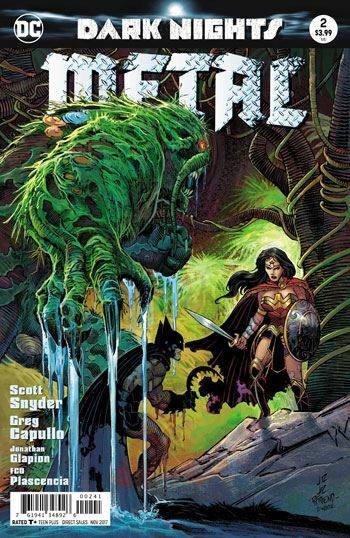 Mainly because although the court's premise is as fascinating to me as it seems to be to Snyder, I feel the execution of them is usually lacking. The action is minimal yet I feel the writing and art are strong enough I don’t mind it being mainly story and not action packed. 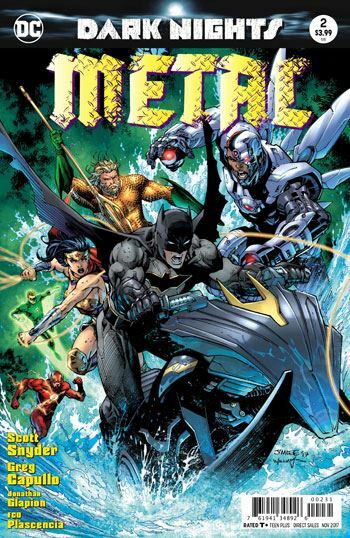 The art is really sharp and I like it a lot overall the Justice League are drawn beautifully each of their features sharp on the panels, yet for some reason Batman looks a little funny to me, mainly his cowl looks more two dimensional than the rest of him.